Glass beads music jewellery makes great gifts for musicians! The variety of colours, patterns and styles of Millefiori glass beads make them ideal choices to complement many pieces of jewellery. Our music themed earrings at TAF Music Gifts uses these attractive colourful beads to create our lampwork glass bead treble clef earrings. All musical earrings have 925 Sterling silver hooks as standard. There are currently 8 different glass beads earrings in stock for you to choose from. Click on an image below for details of the individual piece. Some interesting info: Millefiori beads are created using a glasswork technique called Millefiori, which produces distinctive decorative patterns on glass. This technique involves using multicoloured patterns glass rods known as murrine rods. These rods are heated in a furnace and pulled until thin while still maintaining the cross pattern design and then to be cut into beads or discs when are cooled. You may also be interested in our glass bead music themed necklaces. All glass beads earrings, music themed jewellery and other non-jewellery products are handmade in our workshop in Herefordshire, UK. 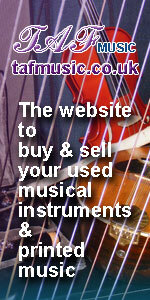 They make colourful music gifts for musicians, family and friends.